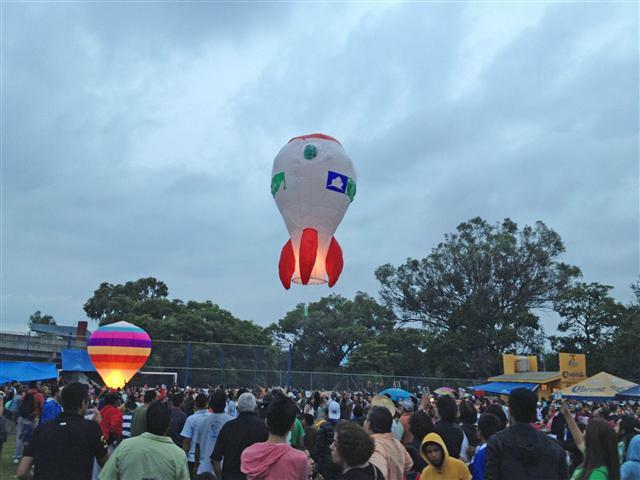 Every year the Globo Event happens the weekend before the 16th of September Revolution Day festivities. It is the kickoff for an entire week of celebrations. 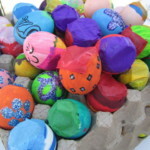 These Globos are made out of very thin, slick and light paper. They are fragile and will burn or tear easily. 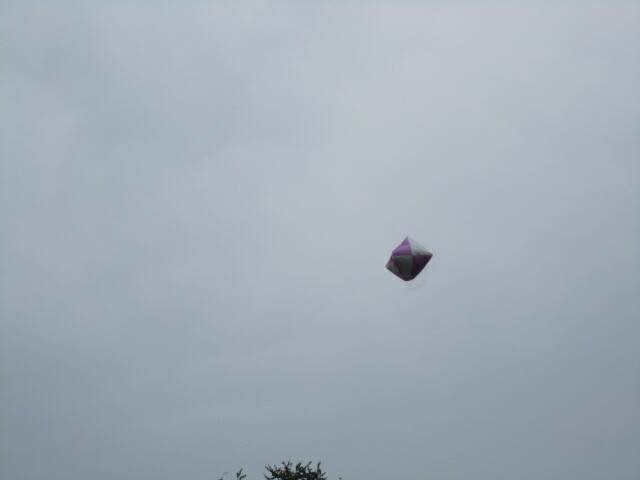 Many of them do not make it into the air. Especially the larger ones because they bend down in the wind and then the fire below them burns them up. 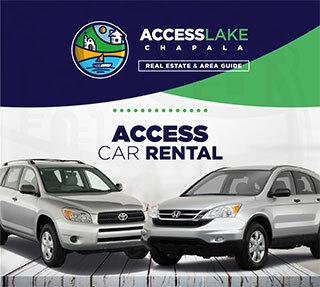 I put the ones made for Access Lake Chapala first since these are ours. 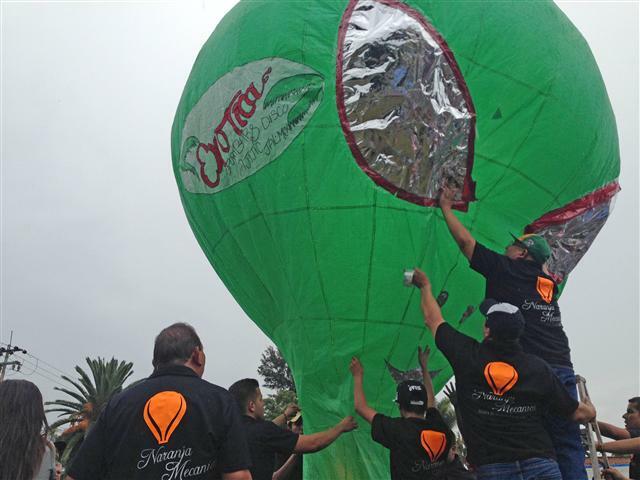 Most of the larger globos have advertisements on them and they were made by professionals. Sometimes they go up and sometimes they don’t but even if they burn up on the way, the advertisers still think they are a good investment. The ones that burn up get a lot of attention from the onlookers. The entire crowd moans at once. It is a lot of fun. I went early in the day so I did not get to see our globo go up. Fortunately, I got photos of it. If you look at the crowd below you can see that the soccer field is packed with people. Also there are hoods and umbrellas. There was some rain that day. The event is free but they have a metal box at the entrance asking for donations to help pay for the next year’s festival. The above photo was taken before many people arrived. 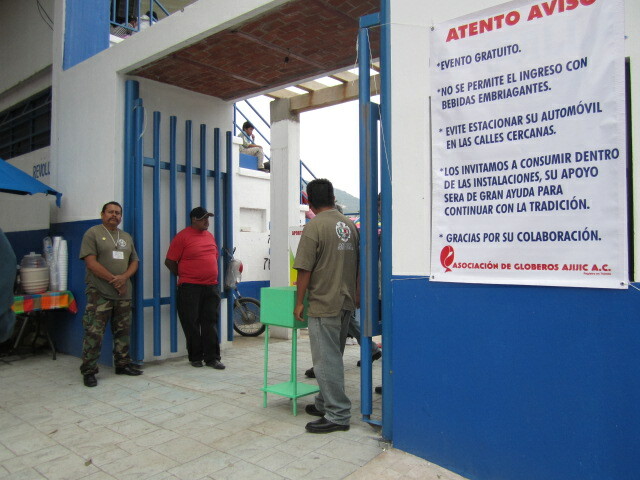 Later on in the afternoon it was so crowded that there were no spaces between people entering those doors. 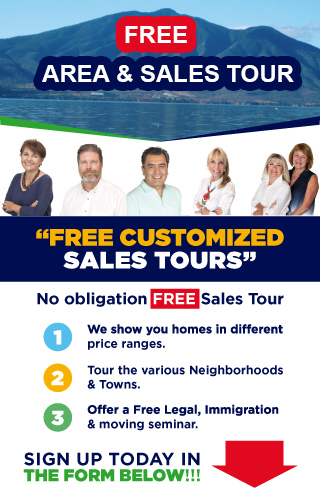 This is a very popular event for the Mexicans and the Expats. It is a great place to catch up with friends, especially earlier in the day before it is too crowded to even move. 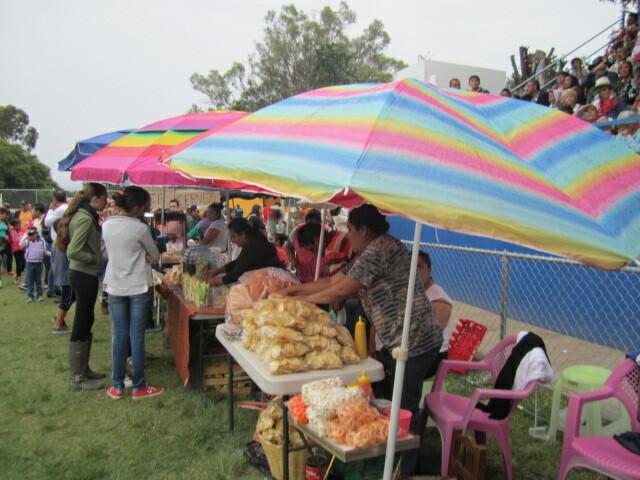 There were many stands inside the soccer field. 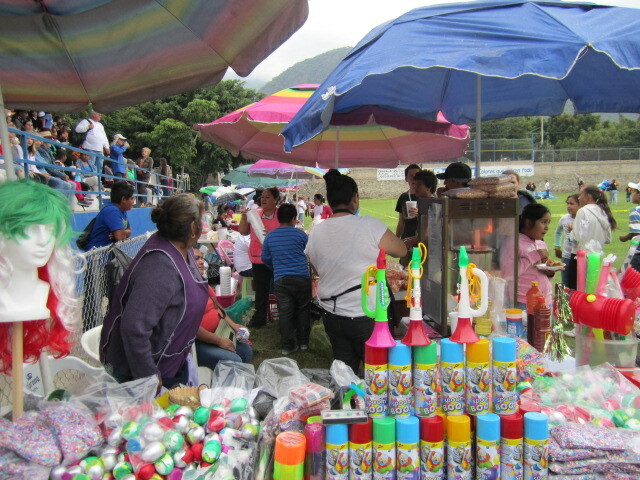 Most of them were selling food but this woman was selling fun things for the children. Look on the left side of the photo at the bottom and you will see bags of confetti. 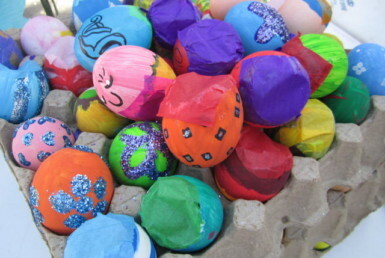 Next to the confetti are bags of eggs that have been hollowed out and filled with confetti. Next to that are containers of foam that the children can squirt on each other and on top of them are horns. 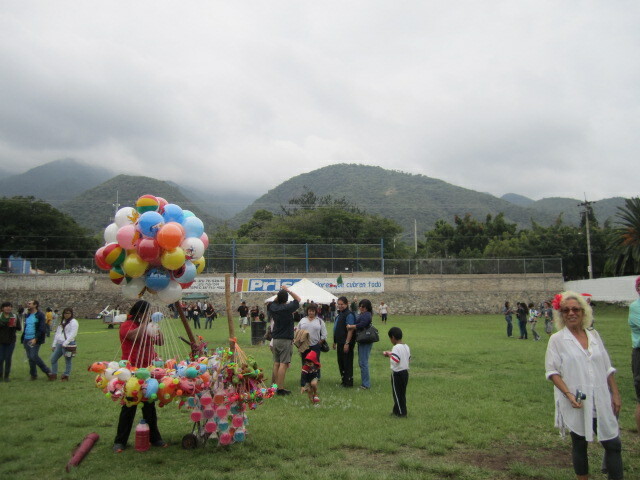 Lots of things for the children to do besides looking at the globos. 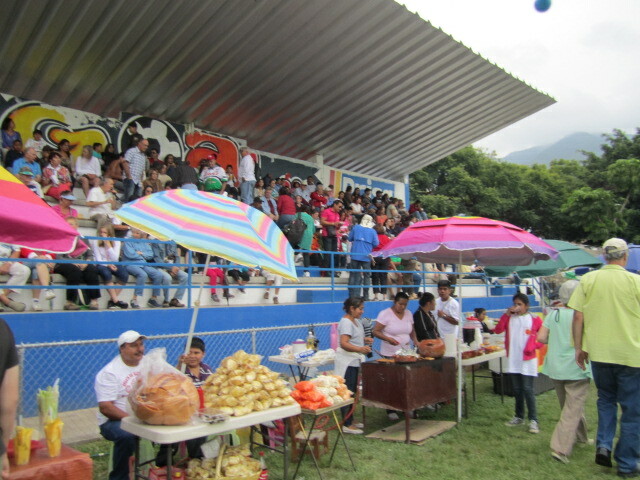 Above are some of the other stands. One woman is cooking tortillas. No reason to go hungry at this event and if you don’t like what is inside the field, outside are stands lined up along Revolution street. The above photo was taken early in the day before the crowds packed the field. I like to go early so I can have time and space to explore everything. It is difficult to do after it is crowded. I noticed that this year they put yellow caution tape around where people were putting up the globos. That seemed like a good idea. 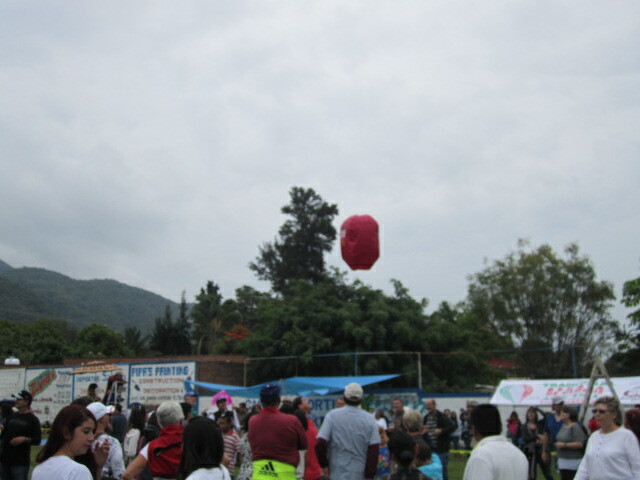 I have seen many near accidents when the onlookers were too close to the burning globos that did not make it up. In the two photos above you can see how people used their time before the globo event went into full action mode. 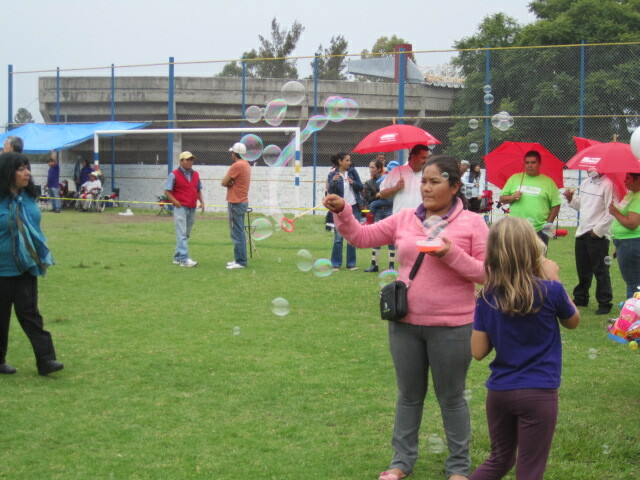 People were standing and sitting around visiting with their friends or watching the few globos that were being put up and one woman was enjoying making bubbles with her daughter. 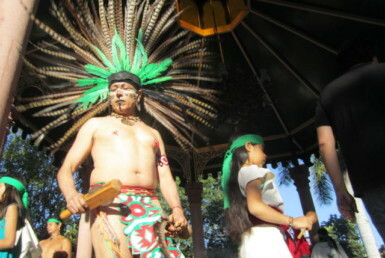 Above is a photo of a man lighting the fire under his globo. This is a very tricky operation and where they mostly catch on fire. The boy on the left may be a future globo fire starter. 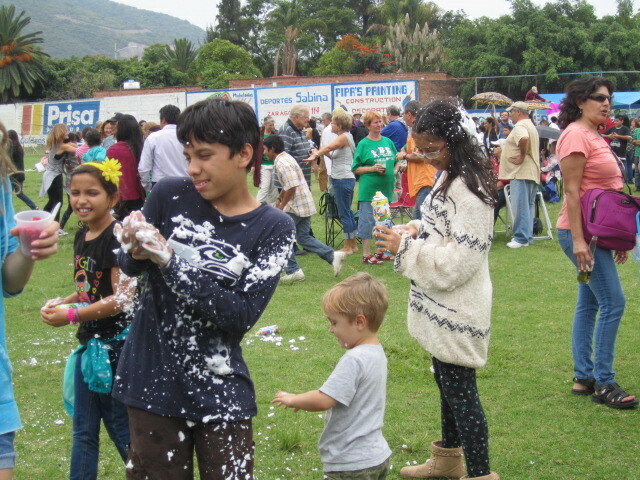 In the above photo you can see just what happens when little girls and boys get the cans of foam in their hands. Chaos. I almost got sprayed while taking their photo. 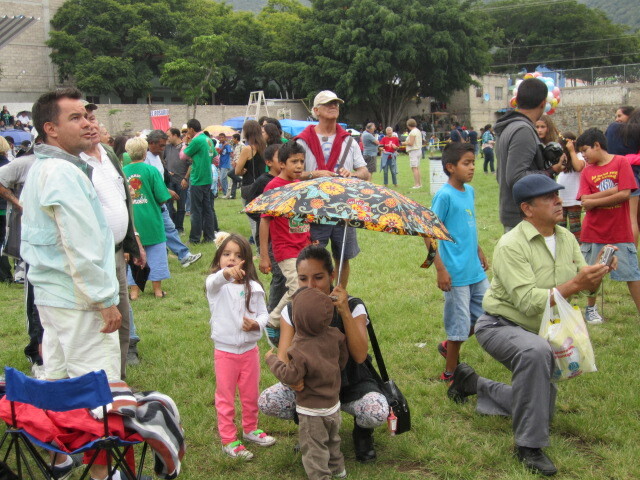 I love to watch the crowd as the globos go up, especially the children. 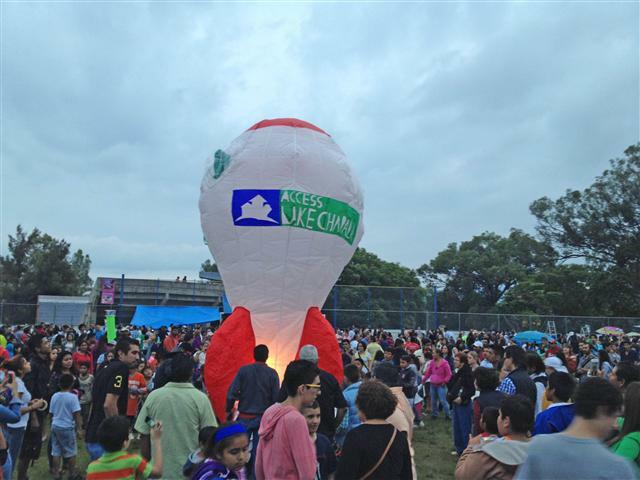 It must feel magical to them to see the fun faces on the globos as they fly away. 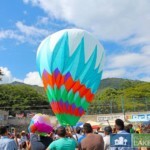 Above is one globo that had a very large face on it. It was a success. They are put up by teams and each team wears the same t shirt. You can see in the above photo that the soccer field is starting to get crowded. I love this globo. It is so bright and complicated. It must have been very difficult to make and it flew. Surprising. Usually the large and complicated ones don’t make it off the ground. 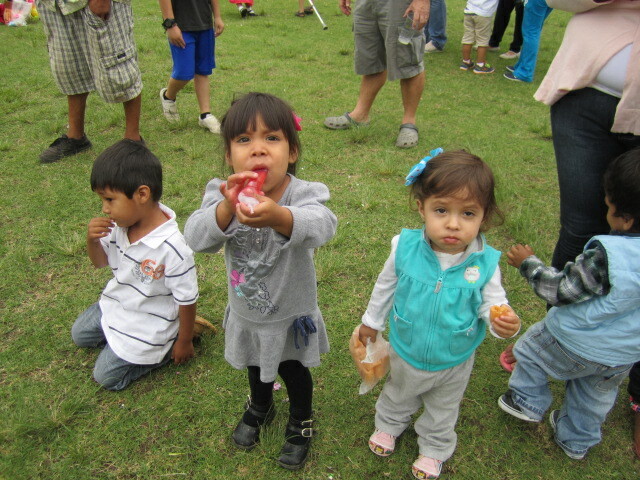 Between bites of food, these little girls are enjoying the globos in the air. I don’t know what is happening with those two boys. They are in their own worlds. Typical. 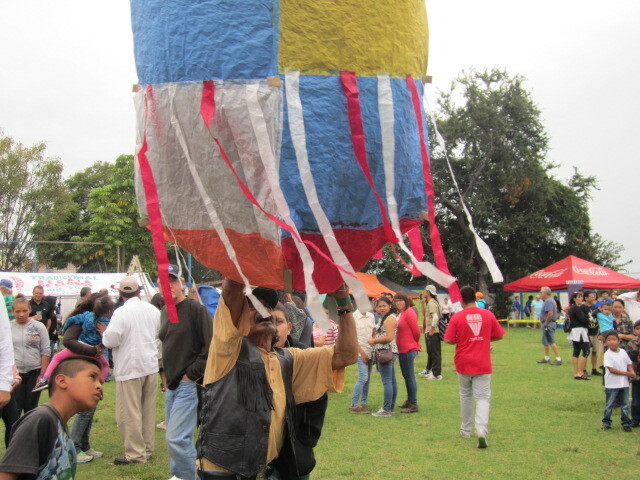 Here are two photos of two smaller globos going up. They have a much better chance of making it and some of them will travel for miles. Then some of them fall into farmer’s corn fields and burn them up. You never know where they will land. There were many dogs at this event. I took the photo below because the dogs were so cute. 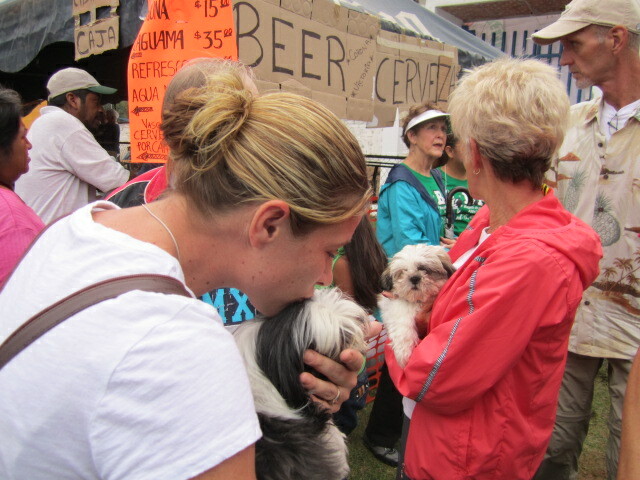 Also, I liked seeing the woman giving her dog so much love. Check out the crowd all around her. This is at the entrance and it is so crowded you can barely move. Guess the answer is to buy a beer and relax. Flow with the crowd. 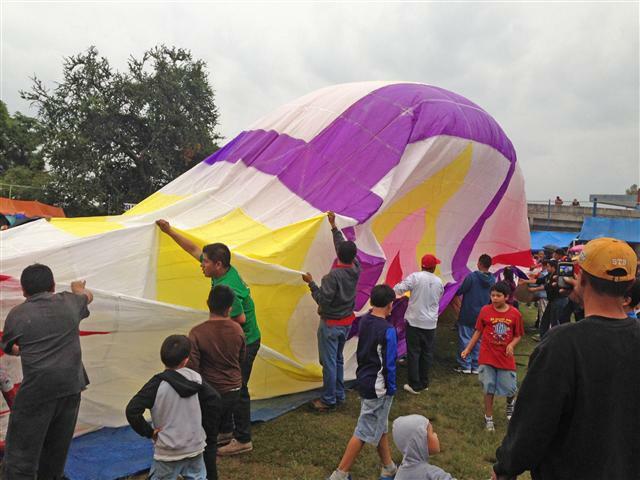 Below is one of the larger globos being prepared for take off. It takes a long time for one this large to fill up with hot air. I did not stay for the entire event. I had already been there for several hours so I cannot tell you if it made it up or not. I guess you will have to go next year and see for yourself what happens when a globo this large tries to get off the ground. Most of the time they don’t. Maybe this one was lucky. 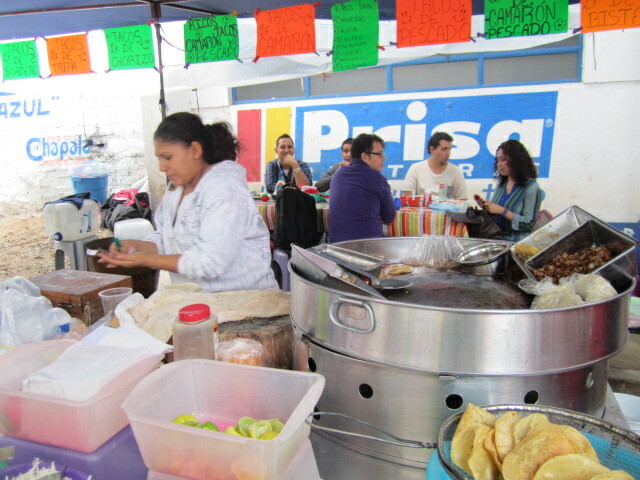 The woman in the food stand in the photo below was making tacos. They looked good but I was more tired than hungry. People were making so many delicious looking meals there. Homemade pies, corn, fresh fruit, chopped up veggies, etc. You could have a healthy meal or a delicious unhealthy meal. Your choice. 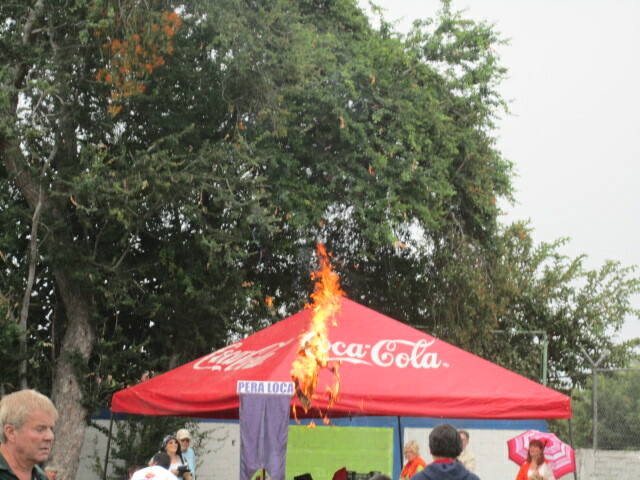 Before I left, I managed to see a spectacular burning up of one of the globos. From the photo it looks like the stand has caught on fire. Don’t worry. It was okay. 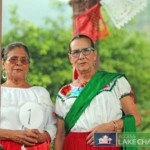 Remember, there is no insurance in Mexico. If that stand had caught on fire, too bad for the owners. Before leaving, I did one more exploration of the food stands. So much to eat, so little appetite. Closing out another Globo Festival for myself but it went on for many hours longer. 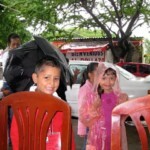 More rain came. More crowds came. 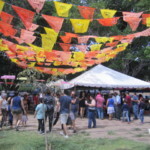 I love this festival. 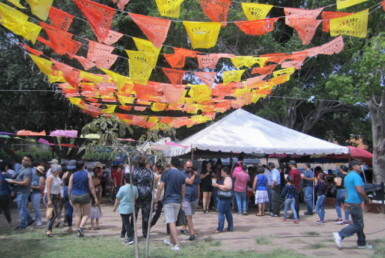 If you are ever in Ajijic the weekend before Revolution Day, check it out. 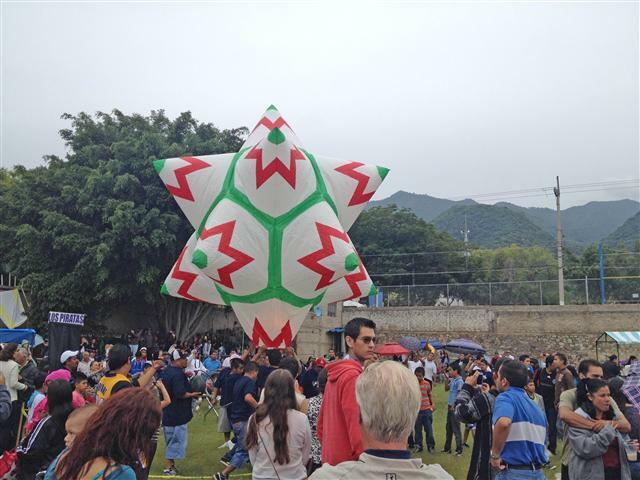 Those globos were very carefully made months in advance by many different people. It is a special event.